Inequality in education hangs on, maybe because people are not willing to change old patterns. It’s infuriating. Faced with problems that are no mystery, we debate them, perpetuate them, start toward solutions, then back away. Did you read The Seattle Times story this week about gifted programs in public schools? 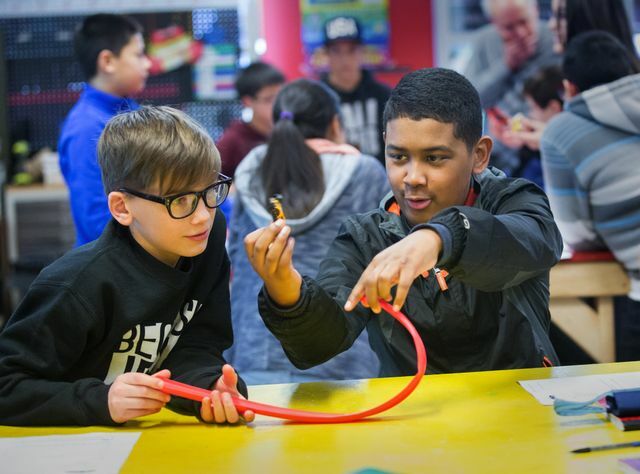 Across the state, black and Latino students are a rarity in gifted programs, but one district, Federal Way, is showing that it doesn’t have to be that way. Gifted programs are a sorting mechanism. They’re supposed to provide a richer, more accelerated education for intellectually superior students, but they often function as a way to magnify existing divides based on privilege, in which race and economic class matter more than brainpower. In many districts, children take tests to determine whether they are qualified, tests that are given when the children are too young for that measurement to be stable or to predict future ability. On top of that, parents who have money and know how the system works can pay for private testing that improves their child’s chance of getting into a program. Once in, the student stays in. Children from poorer families are at a disadvantage both economically and because their parents are less likely to know how to work the system. That’s a shame because schools ought to provide a path toward greater equality, not another obstacle for children who rely most heavily on education to launch them toward fulfilling and rewarding lives. We wind up with schools within schools, segregation without anyone having to put up a sign to that effect. That’s been a problem since I was in school and students were separated into different educational tracks. Many parents whose children are already in gifted programs fear classes will be watered down if students they believe are less capable get in. But that’s not what happens with good programs and effective teachers. The Federal Way district faced howls from parents when it began expanding access to its gifted programs. But the record shows students can rise to the challenge of richer classes. Expectations matter. Good teaching and interesting curricula matter. 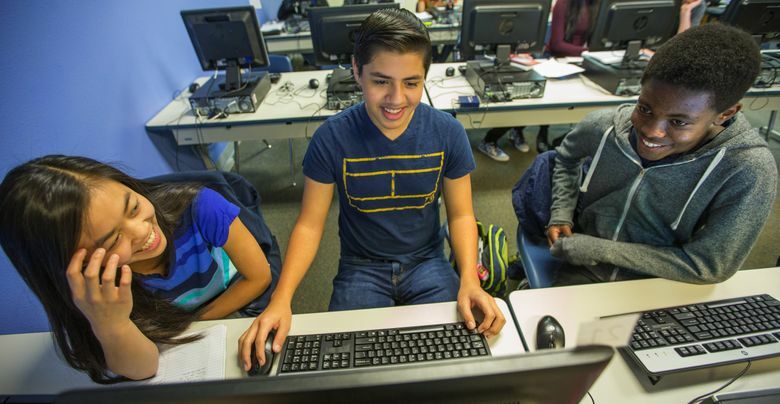 The story cites other programs in the state that are successful at providing a solid education to students who would otherwise be left out of high-quality education — the Technology Access Foundation (TAF) and Rainier Scholars. TAF was created to educate students from demographic groups that are rare in science, technology, engineering and math. It runs a school in partnership with the Federal Way School District, provides coaching to other schools, and has education programs for teachers in Washington. It’s had great success and proven that achievement in those fields doesn’t have to be limited by color or family income. Rainier Scholars exists to prepare students from underrepresented minority groups for success in advanced academic programs. It draws students from the Seattle, Highline and Renton school districts. Both programs are the result of people outside the educational system seeing the potential in children who were not being adequately challenged. The difficulty this state has delivering the best education we can to all our students is also a funding issue. Because of a gap in federal funding, thousands of low-income students in Washington faced the prospect of not being able to pay for tests that show their mastery of the material in International Baccalaureate or Advanced Placement programs. Lt. Gov. Cyrus Habib led a campaign to raise money for the test, and the state Office of Superintendent of Public Instruction matched the amount donors gave, so students will be able to take the tests after all. That’s a great outcome, but a close call. And more importantly, we’re still waiting for a solution to the funding problem that affects the most children in Washington, a court-ordered increase in basic state funding for public education. The state Supreme Court ruling in 2012 in what’s called the McCleary case found that the state doesn’t provide districts with enough money for an adequate basic education, and that results in unequal education across the state. Districts in wealthier areas can raise money through local taxes to supplement what the state provides, but districts in poorer areas can’t bring their spending up to where it should be. Unequal education translates to unequal opportunities. Solutions are out there, so I guess the question is, do we really want to do better?